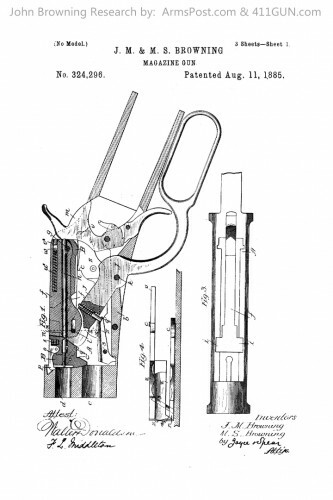 John Moses Browning turned in the application for this patent on March 5th, 1885. 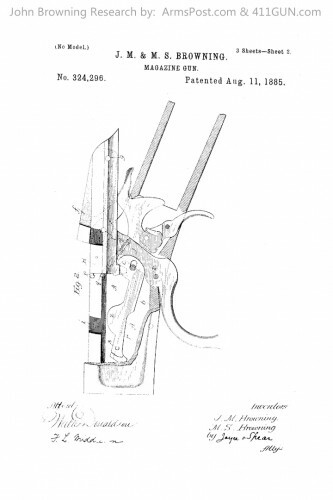 It was approved on August 11th, 1885 as US Patent 324296. 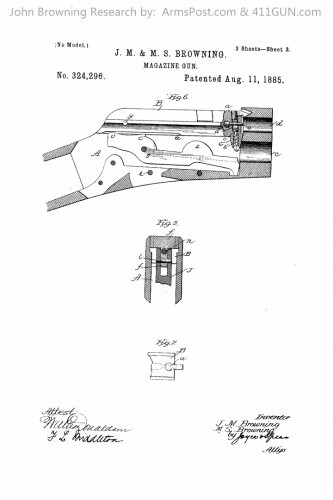 This patent design was another of his lever action rifle designs. Winchester purchased this design by John Browning but never manufactured it. 1. The locking bolt providing dead lock for the bolt.